Are you facing problem with your Skype Camera? No worries as you can fix it yourself following some simple checklists. Though there are many brands of computers and laptops, the name Mac always kindles quite a bit of respect. It enjoys a good reputation and is well known for having one of the most reliable and time tested hardware. However, there have been situations where it has caused problems. This is with particular reference to various types of accessories and attachments which are needed for optimal functioning of the Mac system. There is no doubt that web cams are extremely important. They are required for a number of purpose and they are extremely important and critical for communicating with the outside world. Skype is one of the most commonly used means of video communication and therefore if you find that your Skype camera is not working you could be in a lot of problem. You cannot afford to be impatient when it comes to handling such problems. We are sharing some common problems which could be causing this problem. We are hopeful that you will as to why your Skype camera not working on mac. This is one of the most common reasons as to why your mac Skype camera not working. Though we call it as a Skype camera we use it for many other purposes. We could be using it for chatting on Messenger (Facebook), WhatsApp and many other such applications. It is quite possible that the so-called Skype camera could be attached to some other program or application. Programs like to be independent and they do not like when two or more programs try to access the same webcam. There could be situations where the webcam could have been working on a different program. But it may not be working on Skype. This could be because the other application or program could still be using the webcam. You can easily overcome this problem by closing the apps or programs which could be using the webcam. You can even close Skype and restart again. If this does not work, you could try restarting the Mac system. This should in most cases solve the problem for you. There could be some issues with regard to the version of Skype program which is loaded on to your Mac system. Hence you may need to have the latest version available in your system. You must not forget to update the Skype Program and ensure that you have the latest version in it. You could have situations where you could be using a lower version of Skype while the person at the other end could be using something more modern and advanced. In such cases it is quite possible that you will not be able to communicate with the person who is using a higher version of Skype. The only option for you would be to upgrade the version of Skype program that you are using. These upgrades and updates are available for free and it should not take more than a few minutes to upgrade it. 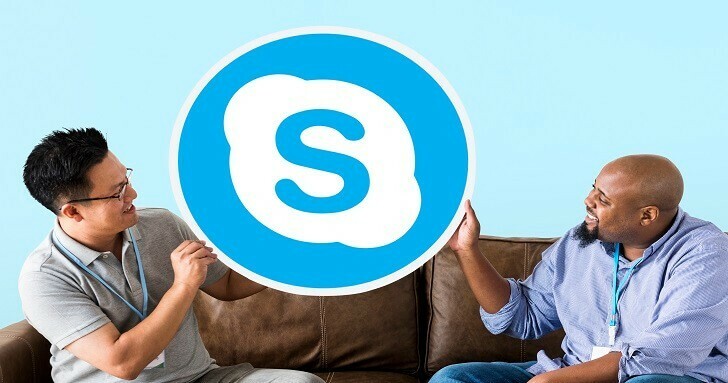 Most Skype applications have features by which the program is updated automatically whenever a new version is released. This should solve incompatibility problems between different versions of Skype programs. Is The Webcam Working Fine? Quite a few times there could be configuration and incompatibility issues which could be sorted out by testing the webcam. There is an option in the Skype program under Preferences>>Audio/Video. You can use this to check whether your webcam is working fine. If you have more than one webcam attached to your Mac, you must choose the one which you want to use for Skype purposes. If you can see the preview feed you can be sure that the phone is working. There are other programs like iMovie, Photo Booth or other such programs which could also be used to check if your Skype camera is working fine. Is Your Camera Installed Correctly? Incorrect camera installation is also another reason why your Skype may not be working. There are some standard procedures to be followed when you install the Skype camera on to your Mac hardware. The same is the case with the software that is required to run the Skype cameras. Here also you have to go through the due procedures and then get it done. The physical connector may not be working well. You could have a look at it and then try rebooting your Mac System. This should solve installation problems. While installing the software, be sure that it has been installed fully and you get a successfully installed message on your Mac system.